There will be spoilers for book one... obviously. 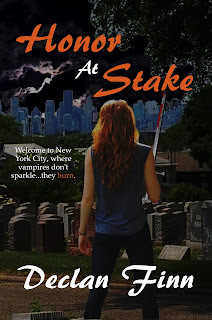 If you haven't read it already, you might want to pick up Honor at Stake. 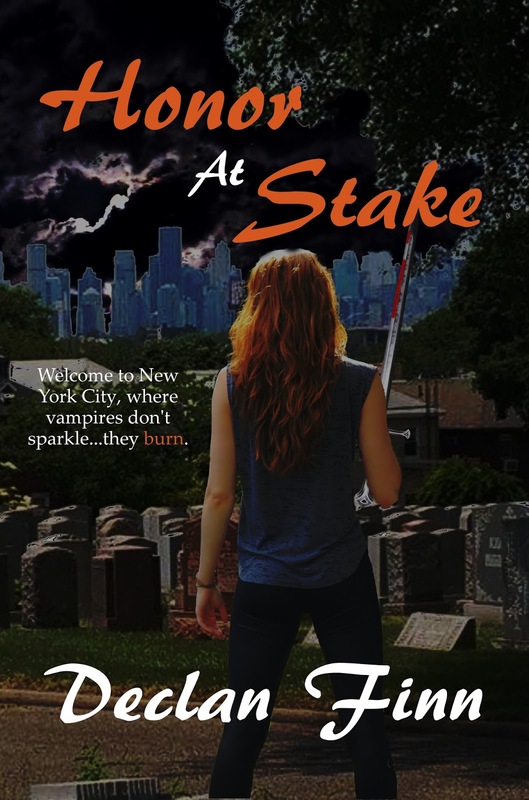 These thoughts drifted through the mind of Amanda Colt as she wandered into the Veterans of Foreign Wars hall reserved for the meeting of the New York City Vampires Association. Of course, the NYC-VA didn't have even ten percent of New York City's vampire population. This was for the powerful, the affluent, or the really, really troublesome. Amanda Colt didn't know what category she fell under. She had never been invited to the NYC-VA before. However, Amanda Colt's role as a troublemaker was assured, even though it wasn't her fault. Marco Catalano was the focus of the trouble. But, these vampires thought of Marco as her human, so she was credited with his trail of destruction, including the recently re-killed, the property damage, and generally spreading so much fear through certain ranks of the vampire community that he bordered on being a terrorist. So, Amanda didn't quite know if she was supposed to be there as a member of the general assembly, or if she was there to be executed as a local troublemaker. If it was the latter, and they tried to hold even the semblance of a trial, she was going to rip them a new one. Maybe a new three or four, while she was at it. As she looked around the hall, she could recognize a few faces. 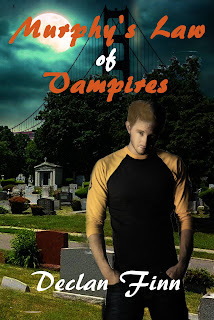 There was a bar owner from the Blood Bank, an Upper East Side vampire bar not far from Mount Sinai Hospital; he was a gruff, burly fellow who had served as an Irish cop in the nineteenth century. And not far from him was Kalsey, a tall, well-built and well-dressed Anglo-Indian vampire who owned The Platelet. Well, Kalsey had owned the Platelet, before Marco had gotten there. Amanda heard that its replacement was still under construction. Though it didn't seem like losing his major source of income had hurt Kalsey all that much. He still wore Armani, carried his well-crafted sword cane, and even had a Rolex Le President, top of the line gold. However, for all that, Kalsey didn't seem happy. Amanda didn't even bother sitting, but stood off to the side. The VFW hall was lined with collapsible chairs, set up in nice neat rows. However, she didn't expect to be sitting much, especially if she was called to defend herself—verbally or physically. The vampires on the dais were finally starting to file in. Amanda noted them, and she swore she knew some of them, but she couldn't remember from where. The one in the center position was female, blonde, and about Amanda's height, dressed casually in a comfortable leather jacket and blue jeans. However, Amanda knew from experience that vampires were not socially advanced, nor matriarchal. To get to a position of power, you had to be powerful, not to mention manipulative, long-sighted, and willing to stab allies in the back … or whatever angle presented itself. The meeting went on for a while, and it covered a lot of the topics one would expect: border disputes, blood supplies, old grudges, territorial haggling due to the latest construction rearranging geographic markers. Vampire bureaucracy was like a regular bureaucracy, but worse, since some topics and situations could drag on for decades, if not centuries. Preferably before you vote for it in the Dragon Awards. Mussolini 's ambition did not match his ability: should that be the other way around?